Gito's story is one of recovery and support. Three months ago, he was left for dead in a cardboard box. 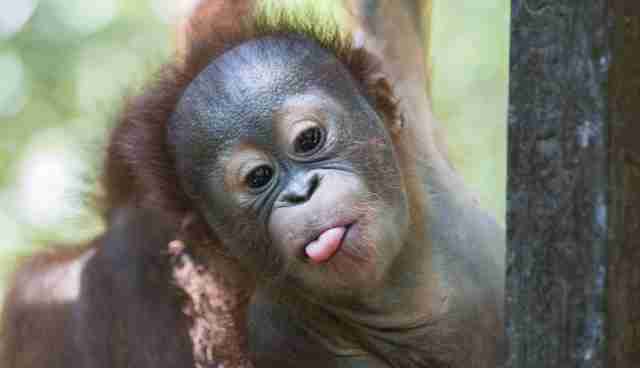 Now, he's sticking his tongue out on the playground alongside classmates at an orangutan preschool. 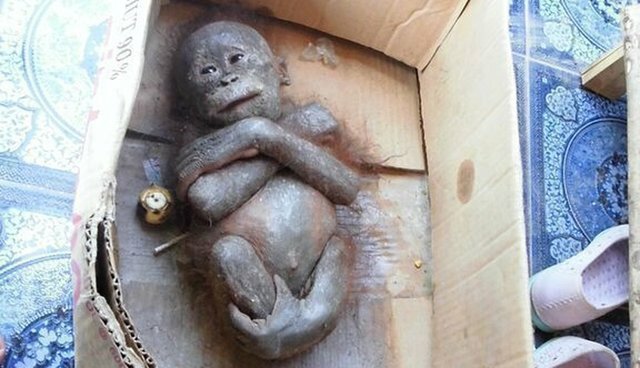 In September, International Animal Rescue (IAR) discovered Gito after his former owner - a village leader in Borneo who bought the orangutan - left him in a cardboard box, soaked in his own urine and exposed to the hot sun. Swinging from branches and learning to care for himself ... Gito makes it all look so easy, but three months ago, he struggled to simply extend his limbs. In fact, his rescuers first thought he was dead. A home for roughly 20,000 wild orangutans, the forests of Borneo have suffered from a string of wildfires over recent months. The devastation has left countless of animals killed or without suitable habitat. Others have been captured and sold into a life of suffering in the exotic wildlife trade. 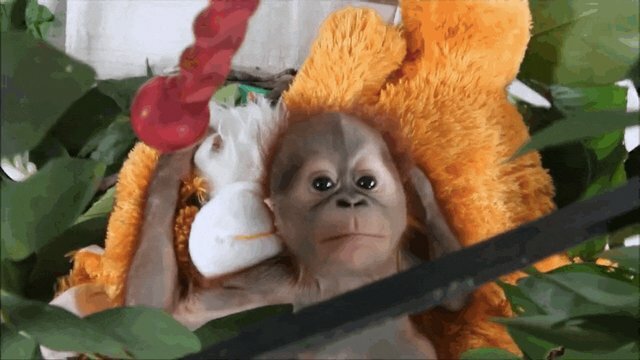 Earlier in December, IAR announced the opening of a preschool at their orangutan sanctuary to accommodate the increasing number of rescued newborns. 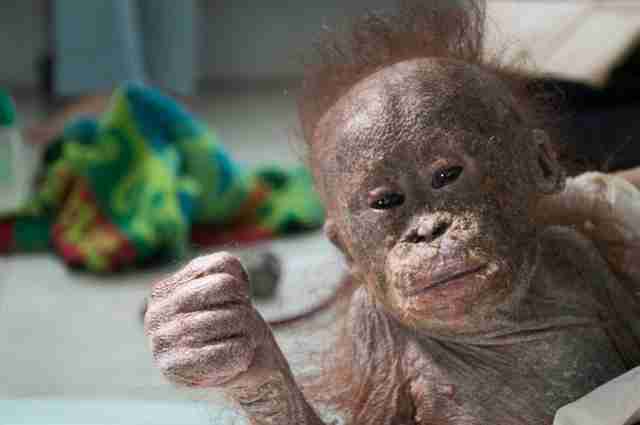 Meet the inaugural class of IAR's orangutan preschool. 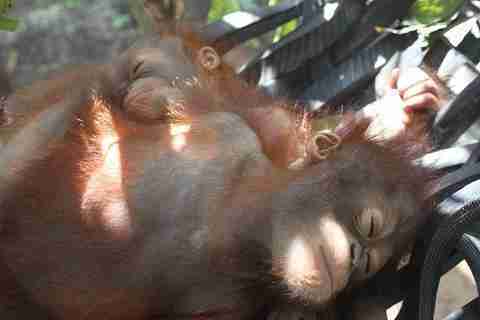 Budi and Jemmi, the naptime partners. And several others. They still have a way to go before they can graduate from the sanctuary and return to the wild, but they're better off than when they each arrived. 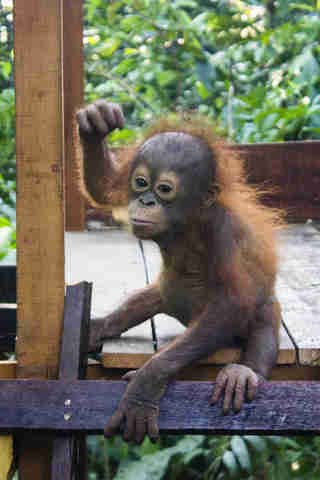 With similar ages and confidence levels, Gito and the other orphans have helped each other grow. And they've been making tremendous progress. 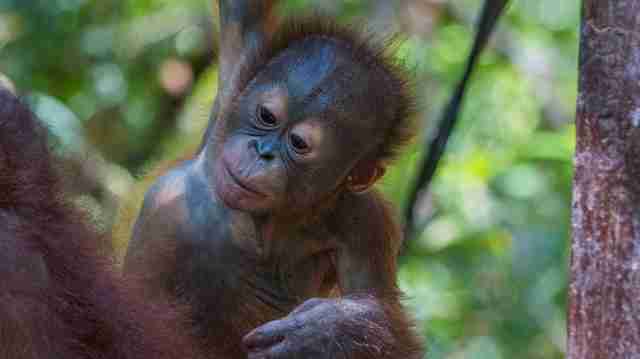 Only two weeks ago, IAR released a video of Asoka climbing his very first tree. If you'd like to support orangutans like Gito and Asoka, consider learning more and donating to IAR.